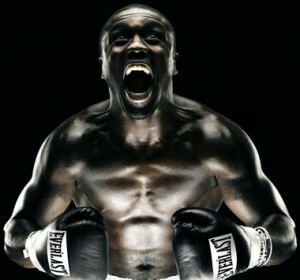 Andre Berto: A Victim of Circumstance? Never let it be said that the boxing media can’t be critical of a fighter when the time and circumstances are right. 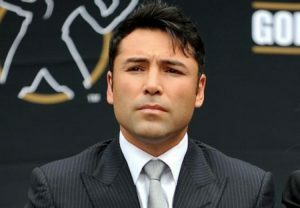 The boxing media’s outrage, as a group, tends to flare up only at those designated as “safe” targets. They never bite the hands that feed them, but when someone is designated “fair game,” they pile on with the ferocity and snarkiness of jealous teenage girls. Andre Berto is one of those on the “fair game” list and you’d be just as hard-pressed to find a positive word about him in the press as you would a negative word against those who generously spread around the money and favors. The group-think among the media certainly dictates that Berto be bashed and Lord knows The Boxing Tribune has had its fun at Berto’s expense. Given his wannabe-star attitude and general denseness, Berto is an easy target for those who, rightfully, point out that the Haitian-American WBC welterweight champ has not paid the necessary dues to be considered among boxing’s elite. 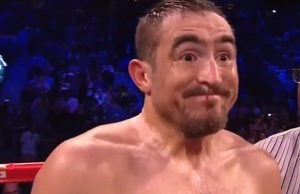 But are the career criticisms directed at Berto fair? 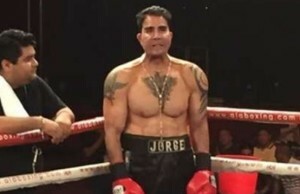 When HBO backed up the Brink’s truck and parked it on Berto’s Florida front yard, they made it clear that it was their intention to manufacture the next American welterweight star. Berto advisor, Al Haymon, used his influence to get his client a nice deal and all the exposure he would need to at least try to fulfill HBO’s dream of creating a star in one of boxing’s glamor divisions. There’s no doubt that much about Berto’s career trajectory was created in the meeting room long before ever proving himself in the ring. And the critics harp on this fact, using it to target Berto with the venom they keep bottled up while looking the other way at similarly cozy deals from “friendlier” promoters and management teams. Realistically, though, was a young Andre Berto supposed to refuse the deal? 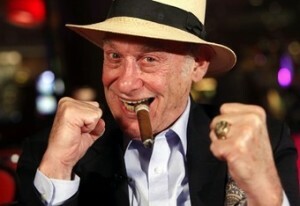 Was he to dismiss Haymon and promoter, Lou Dibella, because they were too cozy with people behind the scenes at HBO? Should Berto have opted to fight for a few years on the club circuit for four-figure paydays? Apparently some in the media only regard boxing as a business when it’s convenient to do so and when it justifies the machinations of fighters close to their hearts and wallets. Every fighter, put into the same situation as Berto, would’ve chosen that same deal. Being fortunate is not a crime and one shouldn’t chastise him for taking it any more than one would chastise an NFL running back for running through the opening created for him by his offensive line. Business aside, though, Berto has also been put into a tough spot competitively. With guys like Pacquiao, Mayweather, and Cotto not choosing to bend over to accommodate a young fighter with virtually no following, Berto has been forced to either fight the left overs of an already deflating welterweight division or select fighters from the 140 lb. class willing to make the jump up in weight. The best names on his resume continue to be Luis Collazo and Carlos Quintana, two fighters on the decline, but still with enough legitimacy to be noteworthy. Other than those two, Berto’s list of opponents is merely a collection of journeymen, fringe contenders, and limited, beefed-up jr. welterweights. But, again, if the big guys won’t fight him, who else is out there? He could select one of the European welterweight champs, but that wouldn’t be too much of a step up from where he’s at now. His scheduled January showdown with Shane Mosley was called off following the earthquake in Haiti, which may or may not have been a legit reason to cancel the fight, but it’s unfair to cast a negative light on Berto’s motivations for doing so. Also unfair is the negative press Berto received for accepting what amounted to step-aside money after Golden Boy wanted Mosley for a Floyd Mayweather clash. Who among us would refuse free money? Most recently, Berto’s people made an attempt to come to terms with mandatory challenger, Turkey’s Selcuk Aydin, a fighter probably a half-step up from the rest of the dreary Euro crew of welters , but a deal couldn’t be reached. So, now, Berto is set to defend his WBC title against Freddy Hernandez in what is universally (and correctly) being panned as an unacceptable match-up. But, the question remains– who else is reasonably out there? Alfonso Gomez, Andreas Kotelnik, and Mike Jones were names that came up when Team Berto was looking for an opponent, but boxing politics prevented fights with all of them from happening. Short of a change of heart by one of the big names at 147, Berto will be in the same boat after dismissing the overmatched Hernandez this Saturday. And then what? More gnashing of teeth and hand wringing by those who wish to prove their cutting edge critical thinking skills. And Andre Berto represents the best of possible targets: A simple-minded dullard who worked his way into a fortune beyond what some feel he deserves. He cut to the front of the line when given the chance and that ticks off a lot of people. Who are these guys and how can they shake up the world of boxing?